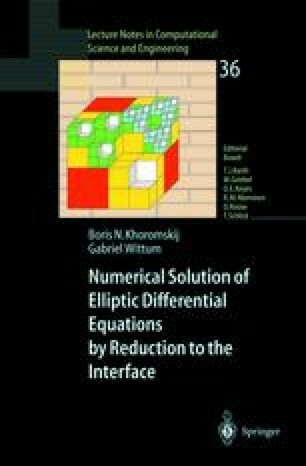 In this chapter, we outline the method of frequency filtering decomposition (FFD) proposed in  for the construction of factorized preconditioners for the systems of linear equations arising in usual FE conforming approximations for elliptic problems. Here we also consider possible extensions of this technique to approximate the Schur complements on the interface . Further generalizations of this approach by using tangential FFD and adaptive filtering were developed in  and in . In the case of symmetric positive definite block-tridiagonal matrices with constant block entries, a new interpretation for the TFFD techniques (which also simplifies a theoretical analysis) was considered in .